We would like to introduce the current Board Members. 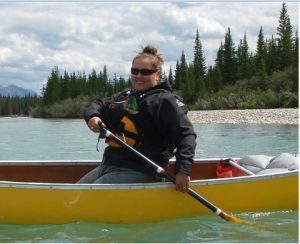 Our mandate is to promote and support recreational paddling by providing educational and social opportunities to all members. Our board would like to hear from you. Questions, concerns or comments…you can either email the club directly or get in touch personally with any of our board members. Growing up in a small town in Nova Scotia I’ve always been drawn towards water, whether it be the ocean or lakes. We joined the club last year after years of living in a landlocked province and it revived my love for being on the water. 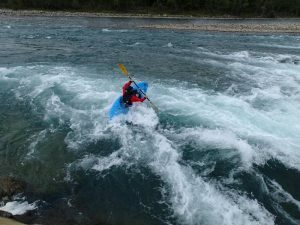 I love refining my skills and the rush of getting through a section of river that seemed impossible at one point. I’m excited to support the club with the upcoming year of events and trips! Timothy is our youngest board member but has been in the club since he was a young teenager! 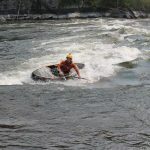 He’s one of our expert paddlers and loves the big whitewater. I grew up on a farm near Waterton Park and enjoy pretty much any activity that gets me outside. 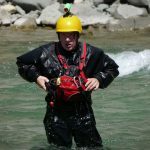 I had always enjoyed canoeing but it wasn’t until this summer, when I took a university whitewater canoeing course, that I learned a little bit of technique. Although I have only been a member of the club for a few years, I have already learned so much from the other members that I have had the pleasure of paddling with so far.